Route 113 To Whetstone. First Left Is Follinsbee. The essence of gracious living is the seamless integration of an expansive all-white kitchen and wide open indoor/outdoor living spaces, framing magnificent pastoral, river and sunset views.The first-floor master suite features a walk-in closet and luxurious master bath. A mud room, laundry and powder room complete the first floor. With 9' ceilings, gas fireplace and over-sized windows, this living space is bright and welcoming. Walk upstairs to 2 bedrooms and home office, all with abundant windows, and a full bath. 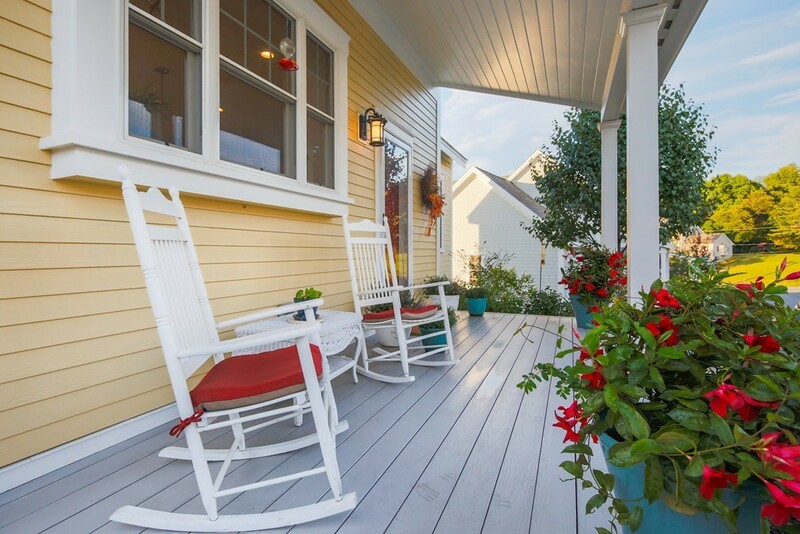 A finished lower level opens onto the rear patio, providing exceptional family flex space.This home is sited within a cottage community, where neighbors share impromptu gatherings at the pocket park fireplace, lively cottage crawls, friendly front porch conversations, and relaxing strolls along community walking trails. Low maintenance exteriors and professional landscaping services allow for a true sense of relaxed living. An exceptional home; an exceptional lifestyle.